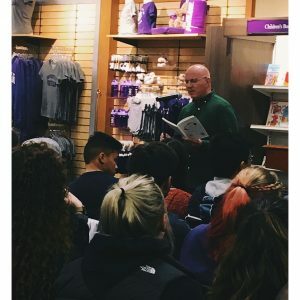 On Tuesday, April 17th, the University of Portland had the pleasure of hosting poet Joseph Ross, who read from his newest poetry collection—Ache (2017). 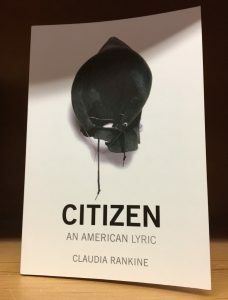 The collection focuses on the subject of race in America, with poems that address everything from the music of John Coltrane to the tragic death of Trayvon Martin. 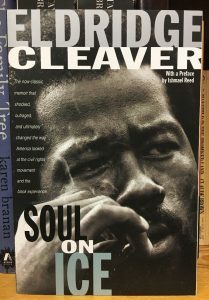 However, in this contributor’s opinion, the poems that had the deepest impact were the ones in which Ross examines the untimely deaths of young African-American men. Many of us have heard of the 16th Street Baptist Church bombing in Birmingham that claimed the lives of four young girls—all under the age of fifteen—in September of 1963. But, what many of us didn’t know is that these girls were not the only ones to lose their lives that day. Ross taught us about the deaths of two African-American boys that also took place in Birmingham on the same day. Johnny Robinson was just sixteen when he was shot in the back by a police officer. 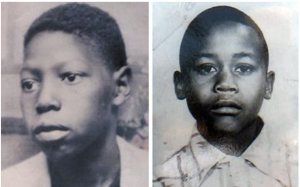 Virgil Ware was only thirteen when he was shot by two white teenagers, while riding a bicycle. Ross dedicated a poem to each them but ultimately decided to read only one given the fact that these pieces can be emotionally taxing for both the audience and the speaker alike. 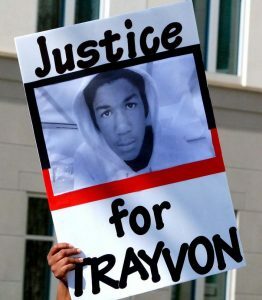 Another potent poem is Ross’s “Eight Ways of Looking at the George Zimmerman Trial.” As the title suggests, the piece reflects on the actions of George Zimmerman—the man who murdered Trayvon Martin in 2012. Nevertheless, amidst all of the tragedy outlined in his poetry, Ross still managed to deliver a message of hope. He talked about how the elegy is too often “underrated,” as it has the ability to “bring people back in a meaningful way.” He was also adamant in his belief that the world needs poets, especially in our current political climate. Ross emphasized the fact that “our words have meanings” and that there is “nothing different about the future without imagination.” We just need to be willing to take a risk and be fearless. February is much more than a month-long rumination on your current relationship status. It’s a time to recognize and appreciate Black History Month through the acknowledgment of African-American achievements. Although we should always celebrate the past and present achievements of African-Americans, Black History Month designates a special time during which we can actively commemorate the contributions these individuals have made to our shared history. 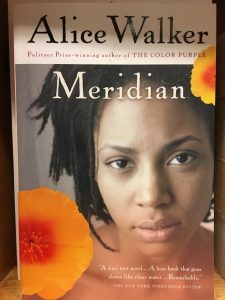 And I personally can’t think of a better way to celebrate than with books, so I decided to ask a few of our lovely English professors what they think is a must-read book by an African-American author. 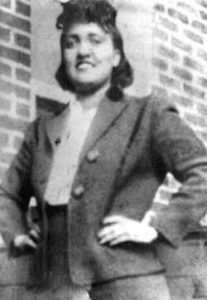 Now, before I dive into the recommendations, you may be asking yourself, “why read a book for Black History Month?” Well, if you were to ask Dr. Hiro, she would tell you, “It’s through the study of African-American literature that I have learned about African-American history and, really, about American history.” In other words, bring on the books. Let’s start with the oldest book on the list! For those of you who took ENG 225 with Prof. McDonald, you may recognize Charles Chesnutt as the author of The House Behind the Cedars. The Marrow of Tradition is a historical novel of his based on a race riot that occurred in Wilmington, North Carolina, in 1898. 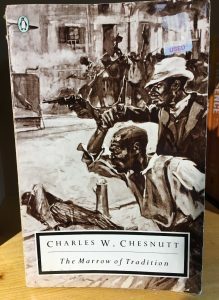 Dr. Hiro describes this work as “a beautiful fictionalization of all the forces” surrounding this historic event in which white supremacists were able to successfully have “the town [of Wilmington] emptied out of black folks.” Chesnutt himself hoped this novel would become “the legitimate successor” of Harriet Beecher Stowe’s famous novel Uncle Tom’s Cabin. 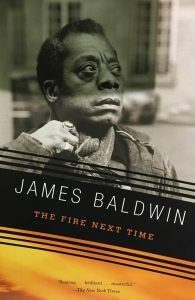 While the novel never received great literary prestige, it still effectively shines a light on the reality of post-Reconstruction America. As of late, Colson Whitehead has been lauded for his Pulitzer Prize-winning novel The Underground Railroad. However, Dr. Hiro suggests that you take a look at some of his earlier works as well. 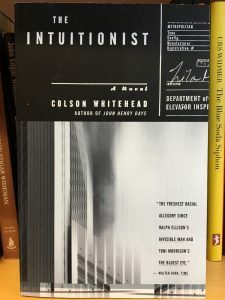 The Intuitionist tells the story of two rival factions of elevator inspectors—the Empiricists vs. the Intuitionists. John Henry Days tells the story of—wait for it—John Henry, a Black steel driver who dies trying to beat the very machine that’s set to replace him. 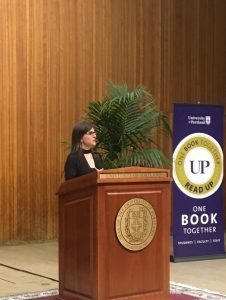 Dr. Hiro describes both works as “really quirky, fun, funny novels.” In a world where we tend to “think of African-American literature as [exclusively] serious,” these novels provide a nice contrast. If you want a break from novels and poetry, why not read a graphic novel? Dr. Larson really enjoyed reading the black-and-white comics trilogy March by Georgia Congressman and Civil Rights icon John Lewis. Congressman Lewis found inspiration in the comic Martin Luther King and the Montgomery Story, which was published in 1957 and laid out the principles of nonviolence. 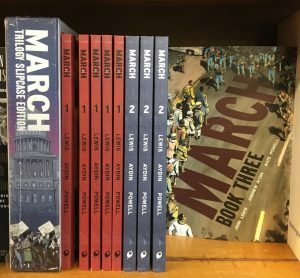 The March series is essentially a biography of John Lewis’ life and details his experience of being involved in Civil Rights Movement. 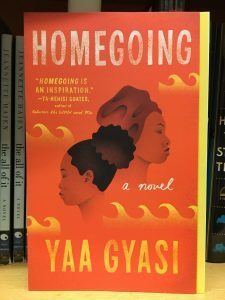 Another recommendation by Dr. Larson is Yaa Gyasi’s debut novel Homegoing. Gyasi is a Ghanaian-American who moved to the U.S. when she was just two years old. 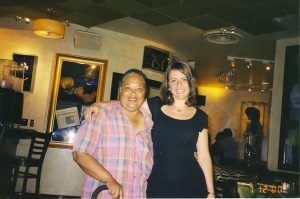 Her novel starts with the story of two half-sisters who are born in different villages. One sister marries a British slaver, while the other is sold into slavery and taken to America by way of the Middle Passage. From there, the story recounts their divergent paths. This list really has something for everyone, so happy reading and Happy Black History Month! Welcome to one of the new and improved English surveys! 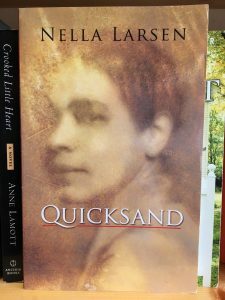 Dr. Orr says students should get ready “to learn about the elemental material that provides a bedrock for understanding American literature and American culture.” The reading list will feature lesser-known writings, such as Mary Rowlandson’s captivity narrative and the work of Paul Laurence Dunbar. However, there will also be plenty of familiar faces, including Wheatley, Emerson, Hawthorne, Melville, Dickinson, Whitman, Twain, James, Crane, Chestnutt, and Chopin. This course utilizes a workshop setting that gives students the opportunity to write in class and share their work within a supportive peer community. Students will find their voices while testing out different writing styles—ranging from narrative essays to flash non-fiction. 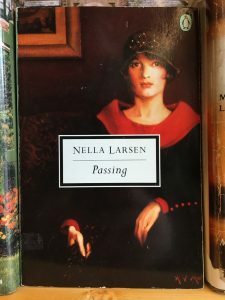 Reading well-known essayists and other modern works also further supplements the course’s deep exploration into the writing process. According to Dr. Larson, the course’s full title is “Film and Literature: Adaptation in the Age of the Image.” In a time when “the visual increasingly competes with the verbal,” this course explores the two mediums and the complex relationship between them. Students will examine how “varied genres of written work (screenplay, play, short story, graphic narrative, novel, nonfiction essay) might be translated to the screen.” The literary works include Shakespeare’s Macbeth, Satrapi’s Persepolis, and Lee’s To Kill a Mockingbird. And a few of the films are Citizen Kane, Memento, and Adaptation. Students will dive headfirst into exploring the relationship between writing and the natural world. In ENG 363, Dr. Weiger says students look at how “reading and writing [are] important ways of participating in environmental debates” and how “our thinking about race, class, gender, and sexuality affect our understanding of environmental problems.” Reading begins with Gilbert White’s natural history letters and journals, followed by the writing of famous transcendentalist Henry David Thoreau, and then shifts to environmental writing from the 20th and 21st century, with pieces by Aldo Leopold, Rachel Carson, Michael Pollan, and Rebecca Solnit. 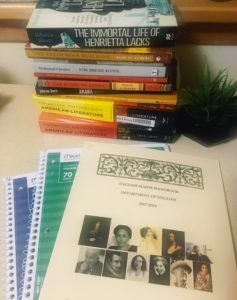 Students will embrace their inner feminist as well as their inner anglophile, as ENG 370 focuses on female, British writers and uses Virginia Woolf’s A Room of One’s Own as a critical lens through which to read the works of other women. Other texts in this discussion-based course include Woolf’s Orlando, Lively’s Moon Tiger, Winterson’s Oranges Are Not the Only Fruit, Smith’s NW, Rhys’ Good Morning, Midnight, Mansfield’s short stories, and Ali Smith’s new book Autumn—arguably the first post-Brexit novel. Students will also examine the theories of feminist literary critics, like Adrienne Rich and Rita Felski. If you have yet to register for Spring 2018, here is a link to the online registration schedule. Registration for the spring semester is fast-approaching, and the times they are a-changin’. As you astute English majors have probably already noticed, the English department has undergone major curriculum changes. Graduation requirements along with the English courses themselves have been revised, and this leaves many students confused. That’s why I sat down with English Department Chair Dr. Lars Larson to talk about the new changes. Hopefully, this conversation answers some questions and explains why change can be a good thing. LM: As the new chair, you know a lot about the changes going on in the English department. The primary change is obviously the capstone, so can you describe the new spring capstone workshop and what it’s going to be like? LL: Capstone. It’s a challenging research project because students are largely on their own. The old model is independent study. We match you up with a professor—not always a student’s first choice unfortunately—but someone who has background in the field that the student is interested in. But it’s largely self-patrolled, so people can get lost in the process of researching. We just find that peer networks are one of the best models for getting things done. Being in a group where everybody is doing a similar type of activity, [even if] the specific subject is different…just makes a lot more sense. We were drawing from other departments on campus that have this model. We wanted a better experience for students and a way to compensate professors for their time. In the old model, no one was getting any credit or compensation for their work with the students. So why not build it into a seminar? Have a professor of record in charge of it. They don’t need to be an expert on the subjects that the various students want to research, but they are expert in learning how to learn. That’s what I think was missing from the old model; there wasn’t enough provision of that learning how to learn. We assumed that the courses they had taken—especially the 400 levels—had geared them up, and I just think a 30-page paper is an entirely new kind of project. That scale is just a different beast. LM: And it’s probably helpful to just have peers give each other feedback as well. LL: Exactly. Peer review. We try to remind students that the audience for their papers is not their professors. It’s any given reader out there. That’s how you raise the stakes of your writing. Imagine an audience who’s anonymous. How do you pull them in? How do you interest them and get over the stilted prose that sometimes happens when you write for a professor? LM: The first time the new capstone is offered is this spring. Will it become the only option for English majors? LL: Eventually. Students who came in with the old requirements have the option to take it independently. In the next two or three years, it will be phased out. And we encourage even those who are grandfathered in on those old requirements to try this seminar style out, because I think it’s going to be a much better model. LM: Dr. Hiro is teaching the capstone this spring. Will you rotate who teaches it? LL: That’s right. She is going to develop the model, and others will build on it. LM: I remember when we were originally informed about the new capstone the idea was that you’d pick a paper you’d already written for an earlier course and expand on it. Is that still the case or can you come in with a new thesis? LL: I believe you have the option to come in with a new thesis. But, we were interested in that option of building on something you’ve worked on before and taking it through some transformations. That’s another one of the problems with the independent study model. A lot of students weren’t necessarily building on something that they’d worked with before, so it was totally new to them; and [they had to do it] in the space of what turns out to be less than a semester. It wasn’t enough time for people to get up to that level that we want. It would change if people already had a running head start. It will help get these papers up to a level of complexity that you just can’t get [in] your first go around. LM: It’s also nice in the sense that you write things and they often fall by the wayside. It’s nice to be able to fully integrate the time you’ve spent at UP. LL: Absolutely. We really wanted that continuity and to make students’ past classes feel like they are brought to bear on this current problem, which all papers are; they are an attempt at solving a problem. Sometimes, when you write a paper, it’s pretty simple, right? [When you return to it] a kind of interesting dialectical push-and-pull [is] there that can lead to a more complex thesis—something that goes beyond common sense and brings out the value. [It] allows you to struggle a bit more. LM: Aside from the capstone, there’s going to be changes coming in the form of new survey courses, right? LL: Well, they started this semester. The old model broke up the historical survey of say British literature into Anglo-Saxon to Medieval, Renaissance, 18th century, Romantic, Victorian, early 20th century, and later 20th century. So British literature alone had seven parts to it. American literature had four different parts. As a different model, we are going to go a little more speedily. British literature is broken up into two sections. American into two sections as well. British literature splits after the 18th century, so Anglo-Saxon to 18th century—that 1000-year span—and then 19th and 20th century British. American [now] goes from origins to 1900 and [then] 1900 to present. It’s just a bit easier to cover, though we are sacrificing some of the fine-grained focus. LM: Yeah, I’m thinking about the course American Literature: 1900 to Present, which I’m currently taking from you. We aren’t really reading a lot of full books. LL: As you know, it is a pretty hasty survey, but it’s a birds-eye view. We wanted to give that intentional, birds-eye overview, because we go into a lot of depth and richness in our genre-based and topic-based courses. LM: Do you know how long the new curriculum will take to integrate? Is it already in full swing? LL: This is the model from here on out. As of Fall 2017, that’s the change; so incoming freshmen are pretty much the first people who are 100% on this new model. That means the sophomores, juniors, and seniors have the old standards, but they can incorporate [classes] from the [new] offerings we have. LM: Given the fact that surveys are now condensed, do you feel like that will be better in the long run at giving our department a better sense of cohesion? LL: The idea [is] that this simplified survey structure will give students more of a feeling of being in common with each other. For someone who has taken Anglo-Saxon, Contemporary British lit, and maybe an American lit course, it feels so disarticulated, as opposed to [taking] one of four classes. Your peers will have had very similar experiences. LM: Are there any other changes besides the ones we’ve discussed? LL: Starting next year [in Fall 2018], minors can take any upper-division English course to satisfy their requirements. Currently, it is to take five courses; two have to be 400 level[s]. We wanted to give a little more freedom to those minors to take what they want, to explore, to be a tourist. LM: So you won’t have to take a 400-level course anymore? LL: Nope, as of next fall. One of the complications is that you now need to have taken ENG 225 to be in a 400 level course. So that’s where things got complicated with the minors. It’s partly why we are dropping that requirement, because it means they’ll need that requirement [of ENG 225] to be waived. The reason we started clamping down is because we want that 400 level experience to have a different feel. Fewer people in the class for one. But number two, everybody is up to speed on the critical lenses that ENG 225 instilled. And that just raises the level of discourse—the level at which you can be talking about these texts. There’s not a whole lot of holding hands and taking people through the basics, as we try to do in, say, the surveys. Thanks to Dr. Larson for sitting down with me! Don’t forget that Spring registration officially begins next Monday. Happy course hunting, English majors!